“The United States is in the grip of a moral recession similar to those in Europe which preceded surrender of freedom and the rise of dictators”. 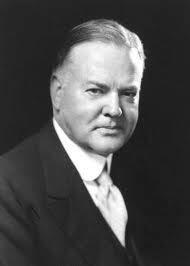 Post presidency, Herbert Hoover adopted the theme “Morals in Government”. He praised the America of his past and feared for her future. Apparently he was right. Are we not living in a Plutocracy?